Anyway. My mom found it at a flea market. My mom informs me that it should be called “Judy,” but they have been calling it “The body.” I kinda like that. 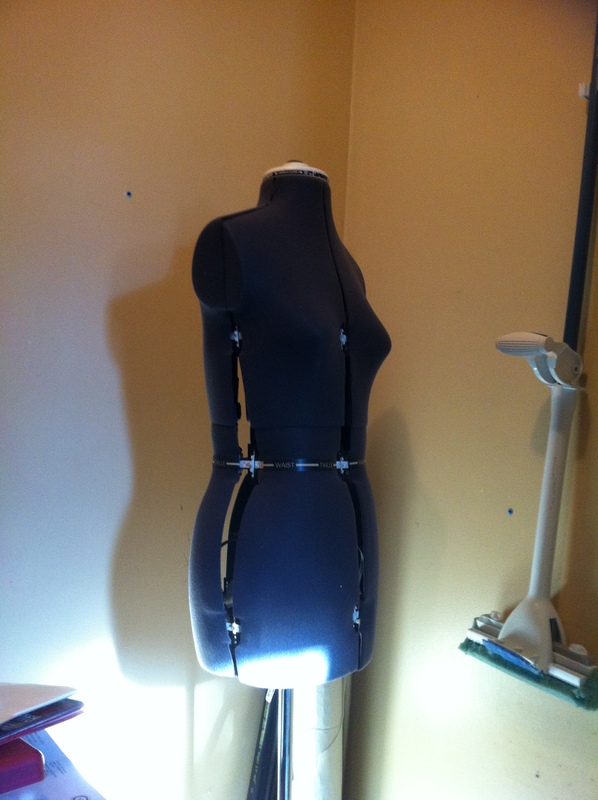 It has the usual adjustments—bust, waist, hip, waist length. With a fair bit of twiddling, I was able to get them all where they should, perhaps, be. 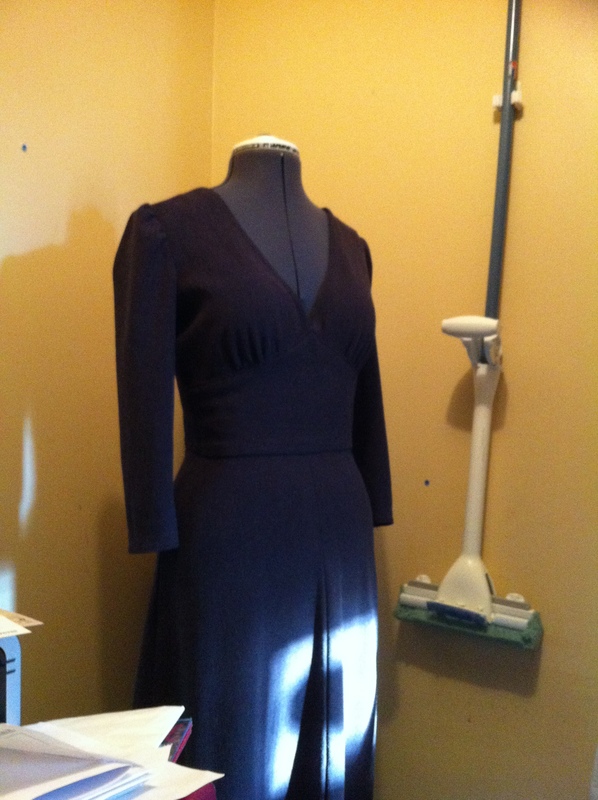 Note how the gap between the pieces goes from narrow at the top to wide at the waist to narrow again at the bottom. I still don’t think the details of the shape are terribly close. Especially the bust. That odd, pointy bust is, well, not anything like mine. Adding a bra helps. With bra. No way on earth my hips do that flare. The biggest thing that will bother me, I think, is that it doesn’t have a swayback. So my swayback adjustments will always look a bit odd. On the other hand, my clothes mostly (aside from the swayback) seem to fit her. I tried on the Star Wars dress, arguably the most precisely-fitted thing I own, and it worked quite well, although the photo turned out a bit blurry as the light in the multi-purpose room isn’t great. In other news, it’s Remembrance Day. Between this present and Stylish’s birthday, I don’t really feel like I’ve been properly observant; I didn’t even manage to get a poppy this year, which kills me. Anyway, in lieu of actually doing anything substantial, I’ll point you back to this post (scroll down to get to the Remembrance Day part), and just say: Lest We Forget. Those hips are really something. Cool gift. Go Mom! This is great. I would love love love to get that gift! 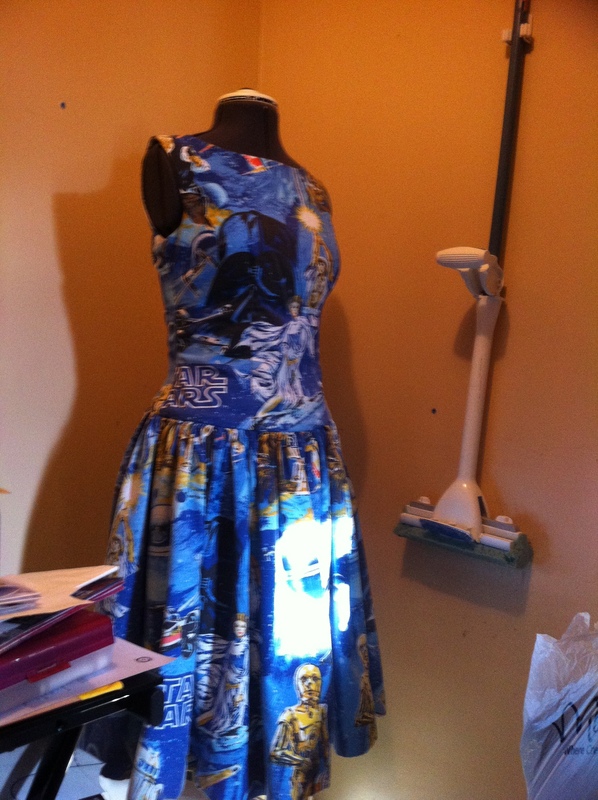 Also, your Star Wars dress is fantastic. 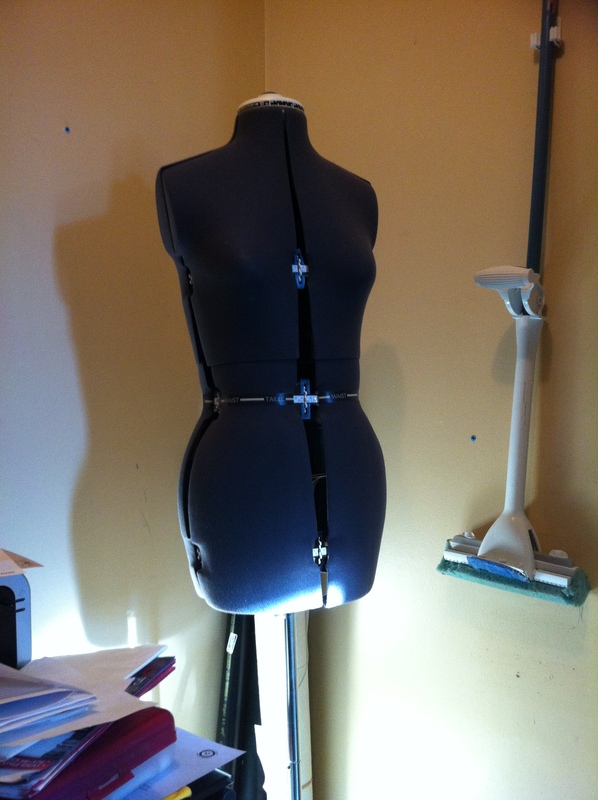 A dress form! Yay! You can always pad it out where the shape is off. Just wrap narrow strips of batting or fleece around the areas that need it until it measures the correct measurement. I’m more oval than round so I adjusted the front and back of my dress form wider than I did the sides (but it all adds up to being the measurement I needed even though the dials don’t look equal). Is this your first form? Heh, I like the name The Body. I call mine “Dolly”. She looks like the twin of your’s. I got her from Amazon because the price was right, lot better than Fabricland. I’m going to have to google why they are called “Judy”! I haven’t read the Threads article but I remember when Gertie used the technique. I’ll keep it in mind—it does sound like a great idea.